﻿ bargogo International Co., Ltd. 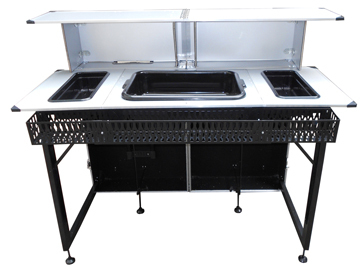 The easy to assemble and completely transportable portable bar accommodates the personal bar tending style for any particular situation, mood, or special occasion. We called it” Transformer”, just like the movie “Transformers”. One suitcase will suddenly stand up and become a countertop. This complete fully functional bar unit is designed to be transformed, in only 3 minutes by one person, into a professional ready made bar. 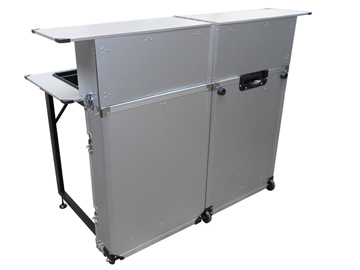 We have changed the traditional Stallman style with our newly design portable bar. You can have business wherever you go. Whether you are in the bartender business, drink business, catering service, or even for private exhibitions and special social gatherings, The Transformer is the way forward to an easy and fun success.